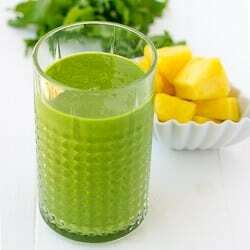 Easy Green-Eyed Monster Smoothies! A simple and fun way to turn green smoothies into a healthy Halloween treat! We make smoothies for breakfast a few times a week. 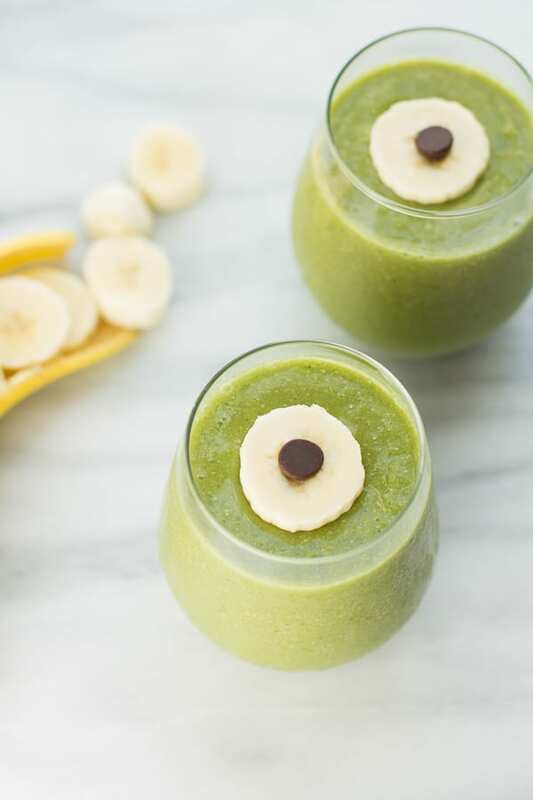 My kids like to switch it up between this Chocolate Superfood Shake and fruit-based green smoothies. 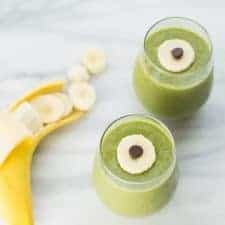 These Green-Eyed Monster Smoothies are a super simple and fun way to turn green smoothies into a Halloween treat! The “monster eye” is just a banana slice and chocolate chip. 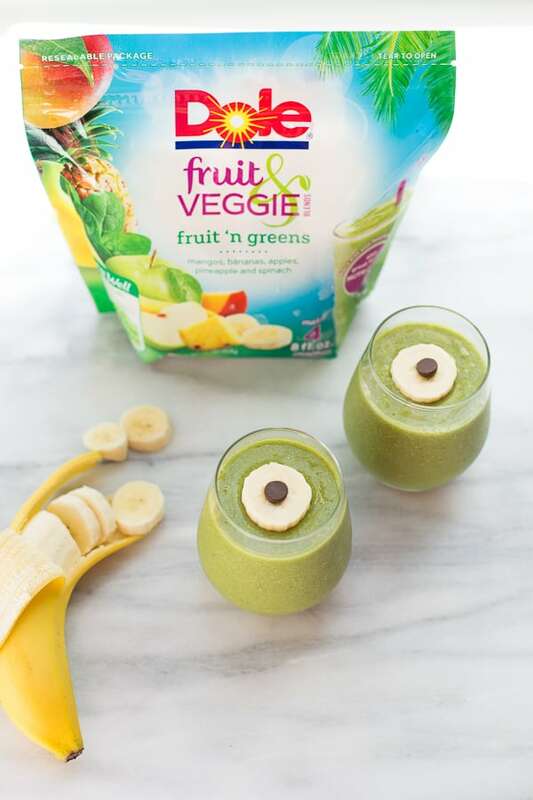 These green smoothies are even easier to make using Dole Fruit & Veggie Blends. You can find Dole Fruit & Veggie Blends in the frozen fruit section. They have the most delicious fruit and veggie combinations and make smoothie-making a breeze on busy mornings! The fruit ‘n greens bag has mangos, banana, apples, pineapple and spinach. I like to add apple juice, something creamy (coconut milk or greek yogurt if you can have dairy) and an extra handful of greens. 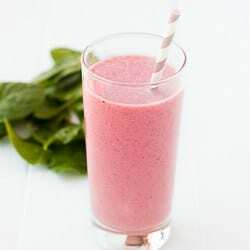 It makes such a refreshing smoothie that my kids love! Blend everything up until it's completely smooth then top with the "monster eyes".